Long time, no updates! Sorry about that folks--I forget about this stuff (obviously). A lot has happened in the last year. Long story short, I am no longer a dealer for Chek-Mate Archery. I am still a dealer for 3 Rivers Archery, Lancaster Archery, and Kustom King Archery. I'm doing quite a bit of travelling, setting up with BCY and doing at least one string making seminar this year. I'm still going at it with the strings. I have added several of BCY's new colors to the lineup--give me some ideas of what you'd like to see! 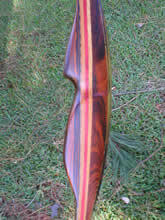 I'm now carrying BCY's "BCY-X" bowstring material. I think they knocked it out of the park with this one! It's here! The new string building video, "How to Build a Great Bowstring" is now available from Champion Custom Bowstrings and 3 Rivers Archery. This video isn't a replacement for "Doin' the Twist", but more a companion. The video is better, the camera angles are better, and a lot of the information is updated and/or more in-depth. More on the video page. We are a proud supporter of the Catch-a-Dream Foundation (http://www.catchadream.org/). Our "home" club, the Southern Traditional Archery Association (http://www.southerntraditionalarchery.com/) with the help of our sponsors was able to raise $20,000 in the last two years to assist in sending some very special children on their "dream" trip! It was our best year ever! 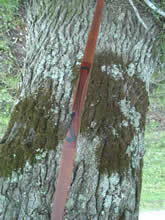 Check us out on Facebook--search "Southern Traditional Archery" for pictures, articles, and tournament dates. We set out one of the most fun, and challenging courses you'll ever shoot. At our charity tournament we have an auction with some amazing deals! We also have our "Cry Baby" range and our "Iron Man" challenge, each with thier own unique trophies. BCY has come out with several new colors--one of my favorites being the new "Electric Blue". It's excellent for your favorite bowfishing bow, and a perfect match for the blue Genesis bow.